The Seabury Hall Annual Craft Fair is a wonderful event for a good cause. Proceeds go to the Tuition Assistance Fund. Often referred to as Maui's favorite Springtime event, The Seabury Hall Craft Fair is a juried event with talented Maui artists from every discipline. You'll find jewelers, painters, photographers, sculptors, and more at this diverse fair. There's a lot to do for both adults and children at this fair. Piiholo Ranch offered pony rides with an ocean view, multiple jumping castles jostled to and fro, face painting, gift making for mom, and 2 long slip and slides cooled down the kids. You'll find great food at Restaurant Row, 2 auctions, over 100 crafter and artist booths selling handmade Maui art, an art gallery, classic car show, fresh produce, flowers & potted plants, a rummage sale, and all kinds of music from many bands on stage. This is the perfect place to go to the day before Mother's Day. You can pick up some unique Maui arts and crafts for reasonable prices to the delight of your Mom the next day. 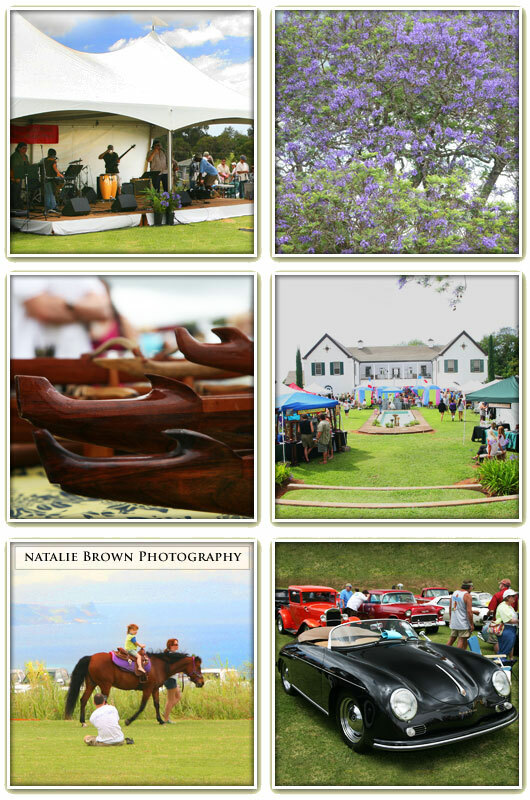 Check out some of the fun photos below taken at the 2009 36th annual Seabury Hall Craft Fair. We'll see you next year! Thank you Natalie brown for the use of your Maui Photography. Mahalo!